A very smart email spider which scans the web for email addresses and saves them in a file. 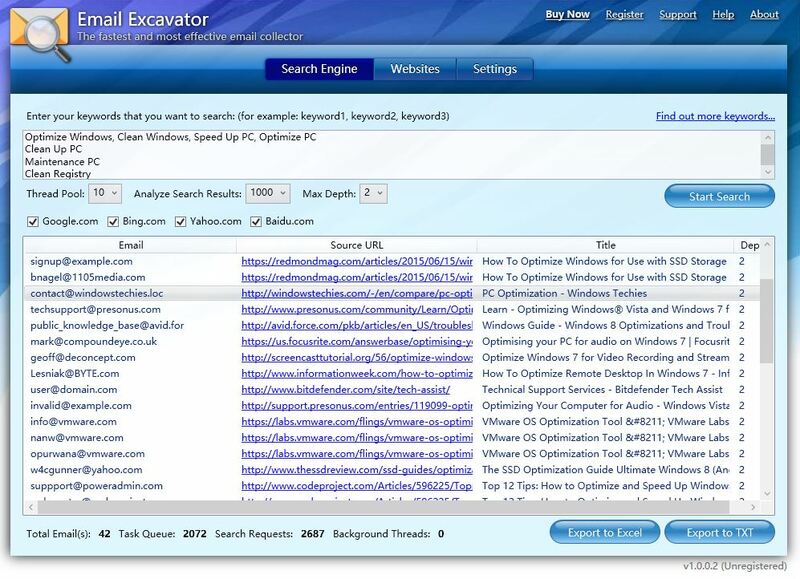 The queries of search engines is also possible. 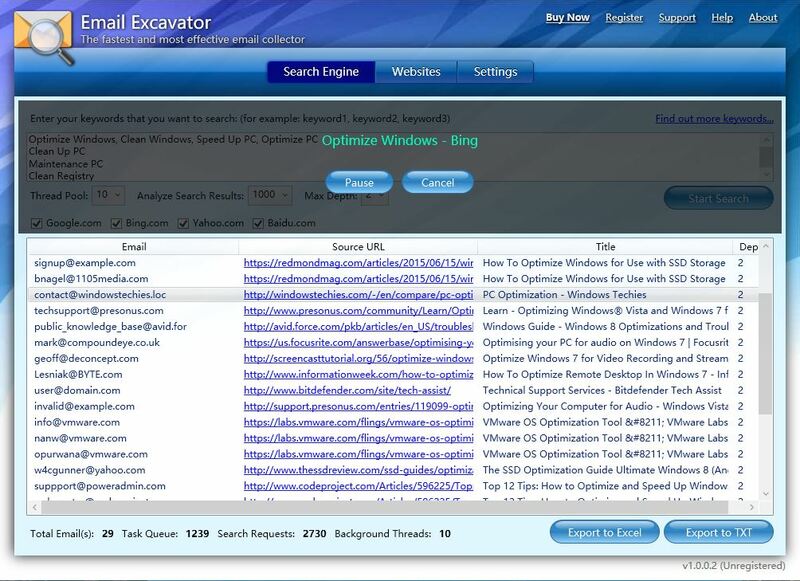 Email Excavator can scan the entire Internet. But you can configure it, so that it searches only websides of a desired target group. You just have to indicate the start keywords and the software can do its job on its own. New validation mechanism for particularly clean lists. Invalid email addresses are displayed graphically. Can find all different types of hidden addresses like : "name [at] domain [dot] com". Supports to collect also fax and phone numbers. Integrated self defending mechanism which recognizes websides which contain non valid email addresses intentionally or can generate these dynamically. Multithreading. Multiple web sides can be scanned at the same time. Unlimited size of the lists. 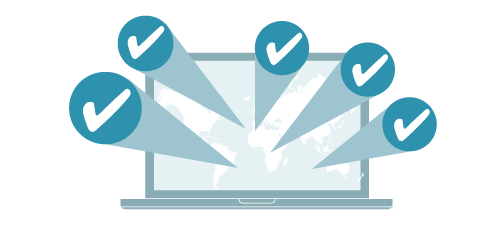 URL- and email lists of several million elements are possible. Smart because of our outstanding "Smart Search Mechanismus". You'll find twice as many email addresses in the same time. Queries of search engines is possible. Graphical display of the found email addresses. 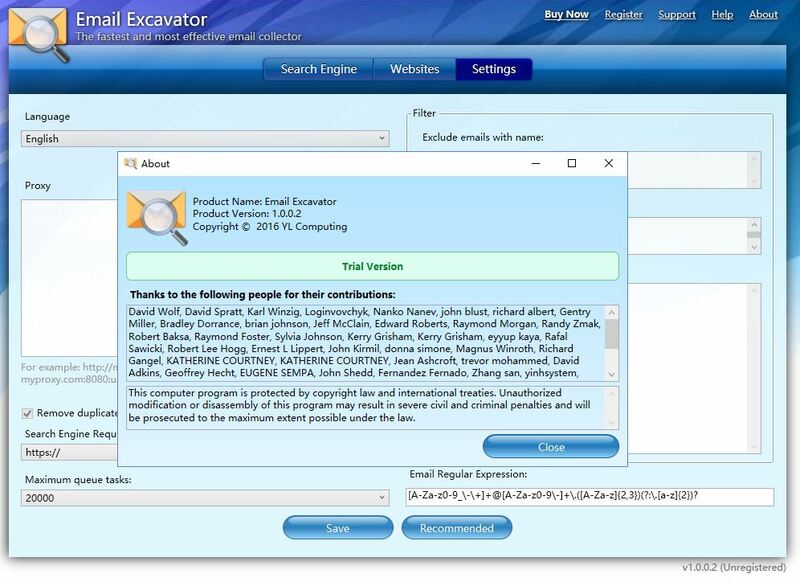 Limited segmentation of the email addresses is possible. Project based. You can stop the product anytime you want and contine at a later time. Several projects can be accomplished at the same time. Doubled domainnames or email addresses will be ingored. Stops automatically when the InterNet connection is interrupted.